EverData offers you a wide range of dedicated servers in Europe with its privately owned infrastructure in Europe. Now enjoy dedicated hosting resources, complete security and steady performance guarantee at most affordable costs. All our premium dedicated servers in Europe are fuelled by the latest technologies to promise fast speed, instant resource allocation, and heavy fault tolerance even during demanding situations. We offer you high-performing yet most affordable dedicated servers in Europe. No matter whether you reside in Germany, Luxembourg or Netherlands, we offer the best dedicated servers Europe can fully rely on. Being a customer first company we always strive to offer you the dedicated servers loaded with premium features required for boosting your digital business. With the help of our dedicated server Europe-based corporate giants, heavy communication websites, e-commerce portals, and gaming websites can offer pleasant user experience to their audiences based in Europe and other countries of the world. 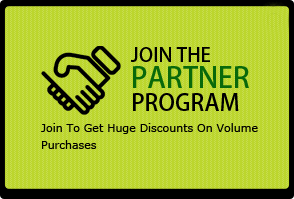 Cheapest prices, premium quality, branded software, award-winning 24X7 support and cutting-edge technology places allows our dedicated severs to enjoy a good reputation in the web hosting industry in Europe. We have wisely devised multiple packages to fit perfectly across different budgets and needs. 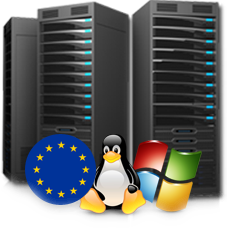 Rest assured all our Europe based dedicated server plans guarantee best performance. Our Fast speed servers are fuelled by latest technology and ample amount of dedicated hosting resources like RAM, bandwidth, storage space, etc. Our unmetered dedicated servers are especially architected to comfortably manage high traffic or add vast amount of data like images, videos, and other heavy media files. Our in-house dedicated support experts offer quality and prompt support via multiple communication mediums. Open ticket, chat or call us for the urgent support and get prompt assistance. We have all the essential manpower and technical infrastructure that guarantees you 100% of satisfaction with the best uptime and seamless solution to fluctuations. We allow you to choose your preferred OS depending on your choice and knowledge. Enjoy the ease of Linux or extend your controls with Windows- the choice is yours!